The effect of blurring induces a state of dreaminess into a picture and also removes a busy background or some distractions that tend to thrust itself in focus. Some users have even been known to rub Vaseline on a camera lens to blur the subject's face for the sake of anonymity or to make a static image more dynamic. Whatever the reason, today creating a blur is as easy as clicking your fingers. 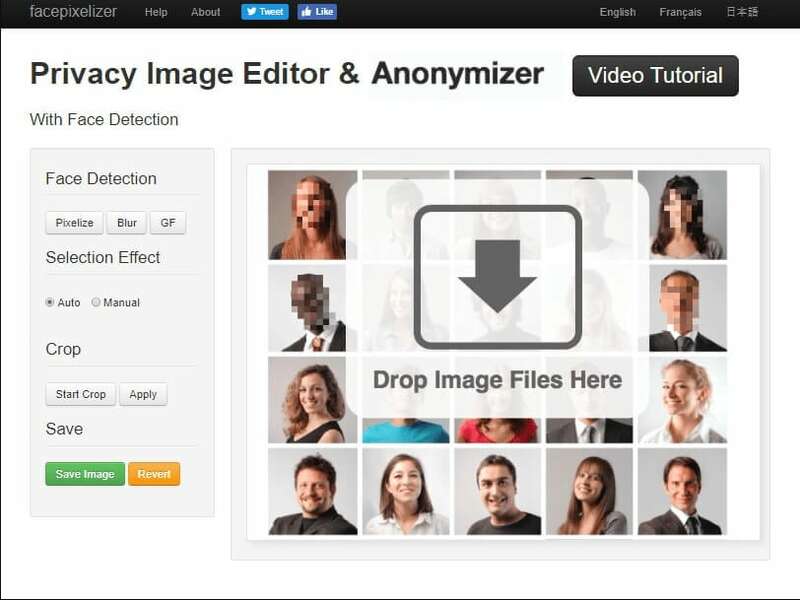 You can now quickly blur and pixelate faces or censor some private information using some intelligent photo editing software. There are oodles of software out there to do the job for you. And in this article, we will show you how to blur faces in photo with some online photo editors on desktop and some of the best face blur apps for your iOS and Android. For blurring faces in a video, we recommend you to use Wondershare Filmora9. With Filmora, you can add a mosaic effect to blur faces or add some cool face off effects which will blur the face at motion. Whether you want to blur face in the video or the video background, you can use Filmora9 to achieve it easily. Check the tutorial for blurring faces in video with Filmora9 below and download Filmora9 for free to try. For the details of private information blurring in your recorded video, check our article How to Blur and Hide private information in recorded videos? Click reverse effect to blur face in PicMonkey. 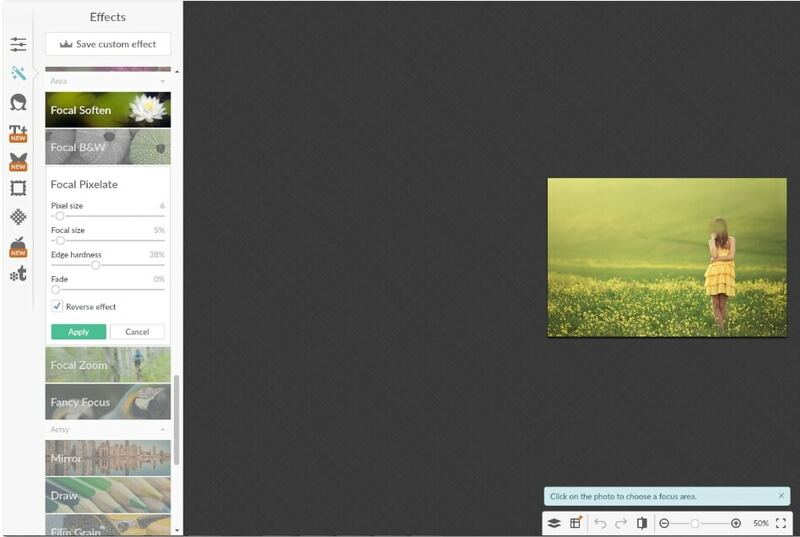 LunaPic is another free online photo editor that blurs face once you upload a photo. The editor apparently automatically blurs an image on upload. PhotoHide does an equally good job. All you have to do after uploading the photo is to draw a box over the face you want blurred and then click on the hide button. The face is instantly blotted out; you can download this on to your computer. This also is a free service and the site does mention that after editing, the images are automatically deleted. Facepixelizer is a specialized image editor that pixellates faces that you want to blur. It's said to be pretty safe and your images are all secure, even though it’s browser-based. This is because the images are apparently never sent over the network and any processing that happens, takes place within your browser. This editor just requires a single click to work and it's different from many others that ask you to select the area that you want blurred. Its in-built face detection works amazingly to blur faces—sometimes it doesn't quite catch faces that tilted or looking to the side-- but using the Anonymization Tool, this can be set right. Pixlr Express is a great tool to blur faces; all you need to do is to select the photo that you want to blur, click adjustment and then select the blur amount by adjusting the slider—once that's done, just press the Apply button and you're done. Below are some of the best blur face apps that you can use in your iPhone or Android phone for blurring face. There are several android apps that help blur faces but ObscuraCam appears to be highly rated. Not only does it blur faces but almost removes them from the image. You can even ask it to blur photos that are on your tablet or phone. The software handles both regular pixel-based blurring and several "fun" filters also. Touch Blur Photo Background is another free app to blur faces but it's for iPhone and iPad users. It can blur both photo background or add mosaic effects to blur faces in photos. As with this app, you just need to touch the photo that you want to blur and the face disappears. You need to select the tool box first and select the image to be blurred using either the rectangular, ellipse or free select tool. 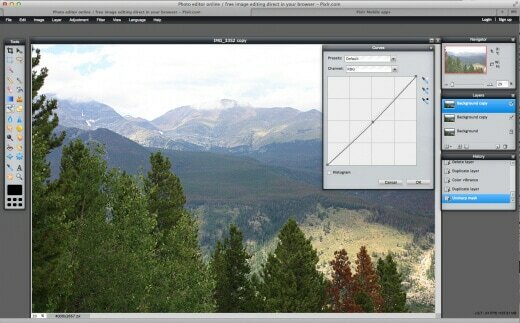 Choose filters from the menu bar, go to Blur and select what type of blur you want. Adjust the settings till you are satisfied and then click Apply—and you're done. Continue to do this to all images that you want blurred. Looking for more apps for blurring vertical videos on phone? Check our article video background blur apps for Android smartphones. If you want to edit your photos on your iOS or Android phones further, check our picks of Best Photo Editor Apps in 2018.